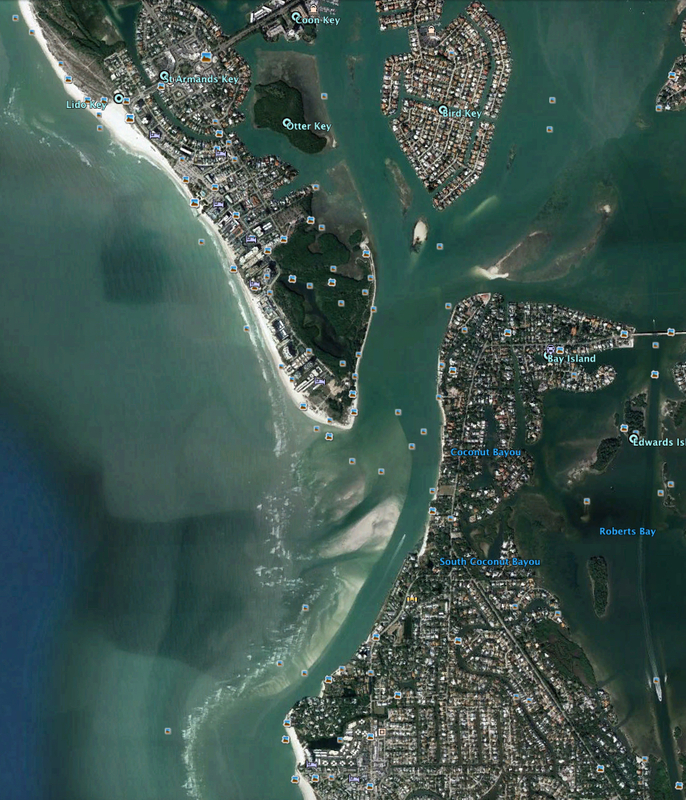 Save Our Siesta Sand 2 (SOSS2) will file a federal lawsuit in late November to try to stop the planned dredging of Big Sarasota Pass, the nonprofit has announced. On Sept. 28, SOSS2 formally gave the U.S. Army Corps of Engineers (USACE) and the Florida Department of Environmental Protection (FDEP) the required 60-day formal notice of its intent, arguing that the USACE has violated a number of federal regulations in designing a 50-year beach renourishment initiative on South Lido Key. In a letter dated Sept. 28, Jane West of Jane West Law in St. Augustine, the attorney for SOSS2, wrote that the USACE’s “recent issuance of a final Environmental Assessment and Finding of No Significant Impact” with regard to the Florida Department of Environmental Protection’s issuance of a permit for the project violates the National Environmental Policy Act, the Clean Water Act and the Endangered Species Act. “SOSS2 is concerned the Project will have significant environmental and economic impacts in and around the Project area, and the Project will negatively impact navigation of recreational and commercial watercraft passing through the areas affected by the Project,” she added. Moreover, the USACE’s plans are “notably silent on how the project may exacerbate red tide conditions and the local economy,” West pointed out in a press release. Just days after the USACE’s August publication of its updated Environmental Assessment (EA) and Finding of No Significant Impact (FONSI) regarding the project, West stressed in her Sept. 28 letter, “a survey by Visit Sarasota County found that visitors at 75% of local hotels canceled their reservations due to red tide concerns. An accurate and complete assessment of the baseline conditions is mandatory in order for the [USACE] to conclude anything [her emphasis] as to the significance of the effects of the Project on the human environment.” West added. “Failure to consider the red tide outbreak, which was occurring on and preceding the publication of the EA/FONSI (2018), and which continues to occur today, equates to failure to adhere to the requirements under [the National Environmental Policy Act] and its implementing regulations,” she wrote. Furthermore, West pointed to the fact that Stephen Leatherman, director of Florida International University’s Laboratory for Coastal Research, named Siesta Public Beach No. 1 in the United States in 2011, and the beach won the No. 1 TripAdvisor ranking in the U.S. in 2017 and 2015. Furthermore, West continued, the regular presence of dredging equipment offshore of Siesta Key would have a detrimental effect on the aesthetics of the area. 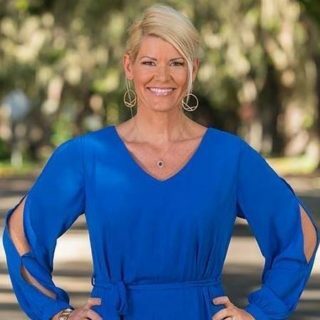 That would pose more potential harm to the tourism-focused businesses that “rely on the pristine condition of Siesta Key Beach to attract customers from Florida and beyond,” she added. “You are hereby notified of our intent to bring a civil action in federal court to compel agency action pursuant to the [Administrative Procedure Act], in order to correct the [USACE’s] violations of the [National Environmental Policy Act, the Clean Water Act and the Endangered Species Act],” West continued. In August, SOSS2 formally requested that the USACE “conduct a full analysis of the contemplated Lido Key beach renourishment project in the form of an Environmental Impact Statement (commonly referred to as an ‘EIS’).” The federal agency offered no response to that request, the press release pointed out. Van Roekens told leaders of the Siesta Key Chamber of Commerce earlier this year that he anticipated the nonprofit would have to end up pursuing a federal court case. Both SOSS2 and the Siesta Key Association (SKA) filed challenges in early 2017 to the Notice of Intent FDEP issued in December 2016, saying FDEP planned to issue the project permit to the USACE and the City of Sarasota, which was the co-applicant. In May, the Florida administrative law judge who heard the challenges — during a hearing conducted in December 2017 — recommended that FDEP proceed with issuing the Joint Coastal Permit. However, the judge did call for a modification to prevent the dredging of two sand borrow areas in the pass from April to September, the period when the spotted sea trout had been shown to spawn in those locations. FDEP Secretary Noah Valenstein concurred with the recommendation when he formally issued the Joint Coastal Permit to the city and the USACE on June 18. Valenstein also agreed with the recommendation of Administrative Law Judge Bram D.E. Canter to limit the amount of sand removed from Big Pass to 1.3 million cubic yards during the initial dredging. The original plan would have allowed the USACE to take up to 1.7 million cubic yards of sand. 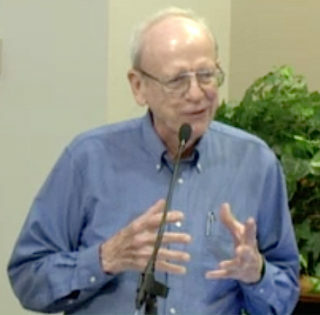 Sarasota City Manager Tom Barwin repeatedly has called for SOSS2 and the SKA to allow the long-term project to go forward. He and city commissioners have maintained that they have faith in the USACE’s analyses in preparation for the project, and Barwin has pointed out that the city would be conducting extensive monitoring to ensure no harm would come to Siesta Key. In his Sept. 28 newsletter, Sarasota City Manager Tom Barwin reported that City Engineer Alexandrea DavisShaw and Col. Andrew D. Kelly, commander of the USACE’s Jacksonville District, recently had signed the agreement for the long-term Lido Key Renourishment Project. Barwin added that the project “will begin next September” or no later than the fall of 2019. 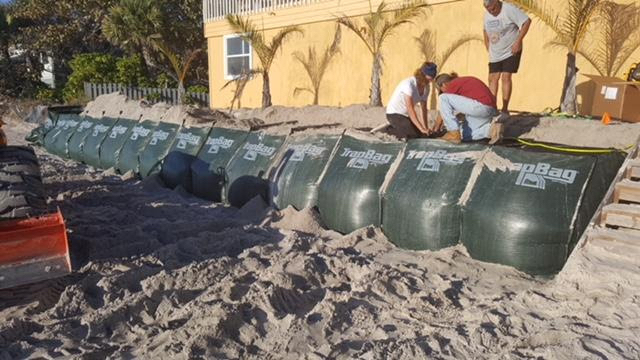 In the meantime, the city has awarded a $3.9-million contract to a North Carolina firm to dredge between 150,000 and 200,000 cubic yards of sand from New Pass for an emergency project on Lido Key, Barwin noted. That initiative is expected to be mostly completed by February 2019, Barwin added. The City Commission approved that project during its regular meeting on Sept. 17, though at the time, staff members reported, the two bids opened that day had not been vetted. Thus, staff members could not say with certainty whether the company submitting the $3.9-million bid would be awarded the contract. The park, which is owned by Sarasota County, is adjacent to the renourishment area. West noted that in an Aug. 24, 2016 letter to the USACE — also requesting an EIS — the County Commission stated its concerns about the project’s potential threat to the physical integrity of Sperling Park. West further pointed out that Big Pass never has been dredged. Even though the manatee recently was “down listed to ‘threatened’” by the U.S. Fish and Wildlife Service, she continued, it still is protected by the Endangered Species Act and the Marine Mammal Protection Act. In the 2011 revised Sarasota County Manatee Protection Plan, she pointed out — which the Florida Fish and Wildlife Conservation Commission (FWC) approved — Big Pass was identified as a “high use” habitat for manatees. 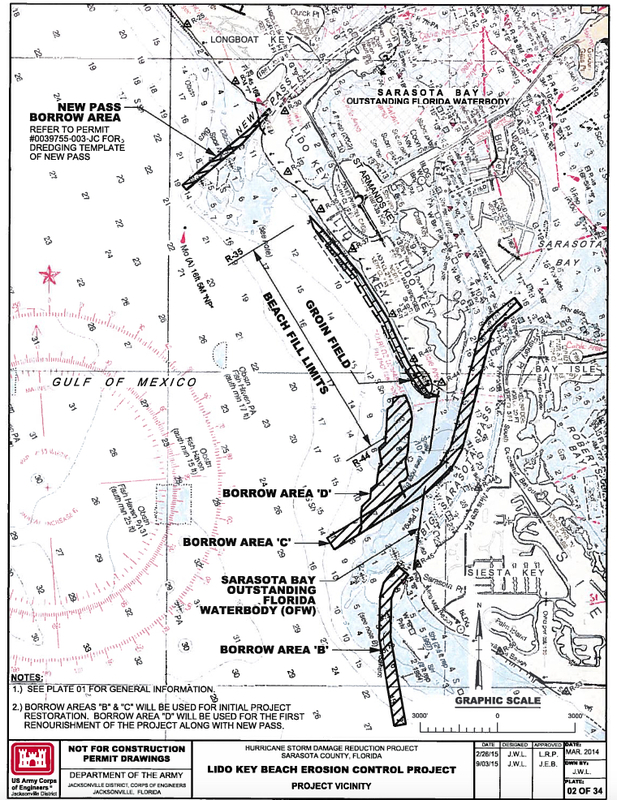 A 2003 Manatee Protection Plan prepared by Mote Marine Laboratory in consultation with Sarasota County environmental staff and the FWC also documented the pass as a “Priority Habitat,” she noted. Yet, the USACE failed not only to discuss those plans in the 2018 EA/FONSI, she pointed out, but it did not even consider them.